Most of the people like us use the inbuilt microphones of Laptop/PC for our daily usage. But we know well that they aren’t good at all. And then we buy a headphone with a mic. But even then the mic is not good, and we end up wasting few dollars for it. If you are a passionate gamer, then you seriously need an excellent microphone for your gameplay, recording and communication. Don’t worry, today I’m here to explain you about the top 8 best gaming microphones for a complete gaming experience. I have reviewed everything from design to performance. I hope this might help you to choose one. When you are too much low on your budget, but you don’t want to sacrifice the quality, then you don’t have to think twice. 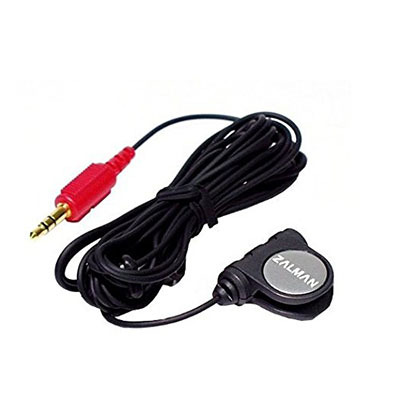 Zalman ZM Mic1 is the cheapest gaming microphone that can be included in the list of best gaming microphones. Well, I can’t say it is cheap, it is ridiculously cheap while comparing with other gaming microphones in the market. It is a high sensitivity microphone that can even catch the tiniest noise of the breeze passing through your room. If you are using this headset, you must try to stay away from the crowd. Using this microphone in a calm surrounding is good. Coming to the quality of the material, the microphone is made up of standard plastic and you can’t expect great durability at a price like this. But regarding performance of the device, it does a great job. The microphone can easily record your sound with class quality. 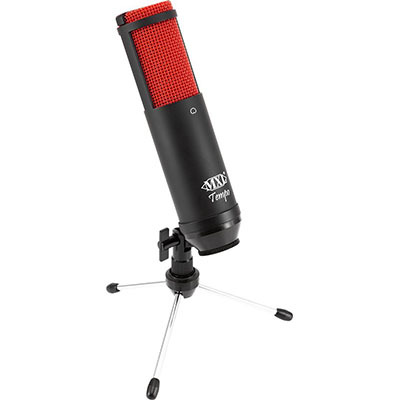 However you have to think about the sound sensitivity of the microphone and if you can manage that then just grab this thing before it gets out of stock! This spherical shaped microphone catches out attention at the first look itself. Right? From a well-known company with a cheap price tag is a blessing for gamers. The Snowball USB is a spherical shaped microphone that has capabilities to record sounds equally from all sides. This shape will allow you to experience more natural recording. Coming to the setup, this would be the easiest microphone setup you can get. All you have to do is just plug in the USB cable between your system and the microphone as you do with USB mouses. The microphone stands on a tripod and comes with a range of colors. The tripod, when kept on your table will be same as your height so that you can record sounds without making much strain to your throat. Coming to the quality side, this thing is far better than the price tag it has got. The audio is of good quality, and there is slight noise reduction. You can get better microphones from the market, but not at this price tag. The ease of setup and good quality audio makes it one of the best budget friendly gaming microphone. Another budget friendly gaming microphone that cannot be skipped in any of the reviews. 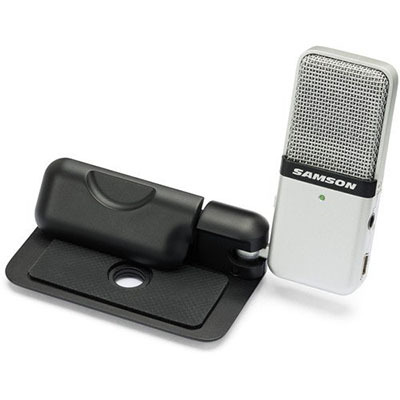 The Samson Go Mic is one of the most compact USB microphones. The microphone itself is weightless, and the full system can be kept inside a pouch that the company provides. This will help you to carry the microphone inside your pocket easily. This best gaming microphone can be connected to your system using a USB cable. Unlike other microphones, the Go Mic doesn’t come with a standard USB cable rather it comes with a micro USB cable that we have seen on our smartphones. Keeping everything apart and considering the quality, This little thing is superb. It provides a cheerful output at its price. If you want the microphone for only gaming, then you can choose this USB microphone without any worries. 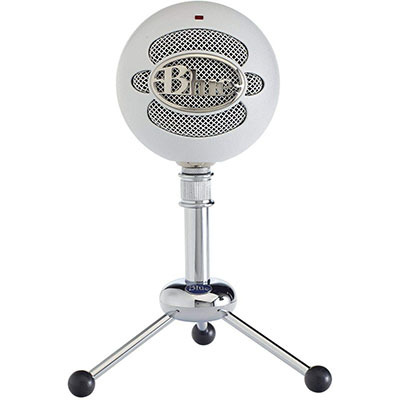 The Yeti Pro USB microphones from Blue Microphones is specifically made for professional gamers who are looking for extreme quality without considering the price. This microphone is unique in its own ways. 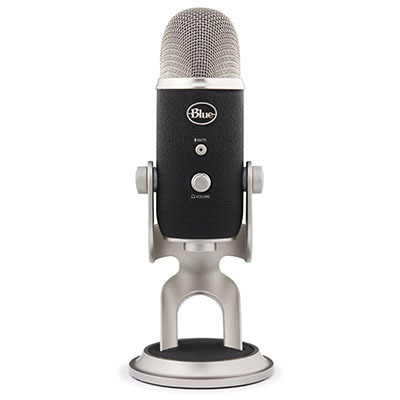 The design is something similar to standard yeti USB microphone. This thing is a multipurpose microphone that you can use for podcasting, voiceovers and recordings. 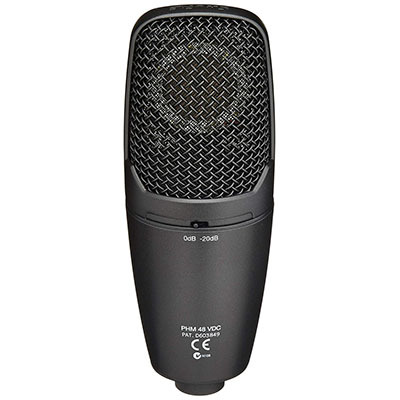 The microphone comes with four polar pattern settings which are cardioid, stereo, bidirectional and omni. Out of this, bidirectional is great for gaming. The microphone comes with a feature called zero-latency monitoring which will allow the users to adjust the sound settings using a headphone by hearing the recordings. Coming to the sound quality, the Yeti Pro is just amazing. The recordings are crystal clear and overall voice adjustment is good. Though the price is little high, you won’t regret after using it for a while. Samson Meteor is yet another super looking gaming microphone out there in the market. The Samson Meteor comes with the shiny chromium finish that resembles the color of real meteors. It also comes with nickel and titanium colors. This microphone comes with a three nondetachable legs that avoid the need of an external tripod. When it comes to quality of the output, this thing stands out of the crowd. The voice is well recorded, and the output sound is stronger. This is best gaming microphone as it helps you to record sounds in a more powerful tone. There aren’t any critical problems with this microphone and hence, it is a good choice for both amateur and professional gamers. 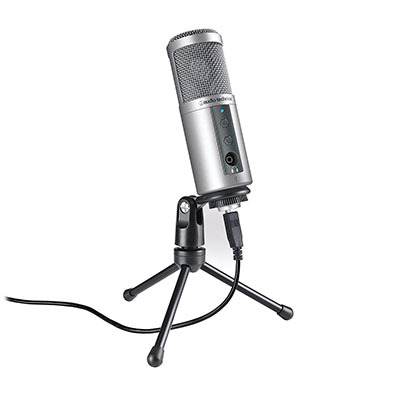 ATR2500-USB Microphone from Audio-Technica is one of the best budget gaming microphone in the market. 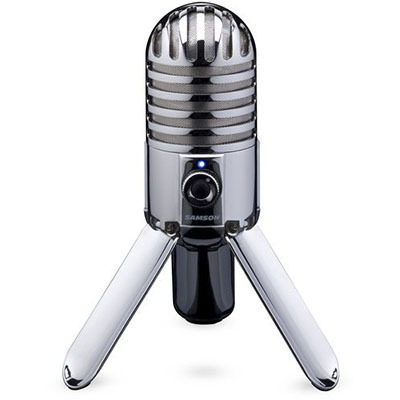 The design of the microphone is simple and elegant. The mic doesn’t come with a tripod. So you are supposed to buy a tripod inorder to adjust the microphone to your level. Coming to the quality, it picks up sound more quickly and the output is good. For this price tag, I should say the output is fabulous. One thing that was reported by many customers was the recording capability of the microphone. It is very quiet when recorded from little distance which means you have to keep your mouth near of the mic if you want to get a clear voice. There is also a built-in headphone jack that will help you to monitor your microphone. This headphone is much better than the built-in laptop microphones but it is not that great when comparing to others. So if you are looking for something within this budget you can consider buying ATR2500. MXL Tempo is one of the newcomers in the market. This gaming microphone comes with supreme quality and good durability. The company launched it mainly for, gaming purposes but they are widely used in studios for vocal recordings. This microphone is compact can fit easily on the narrow side of your table. It has been made mainly by using metals which will make it one of the most durable gaming microphone on the market. I don’t have to explain a lot about quality because it provides above average quality for this price. The voice is clear and gives a more realistic feeling. Shure PG27 is a great plug and play vocal and gaming microphone. This microphone has so many features that give you a great output. The microphone has pre-amp along with microphone gain control integrate into it. This allows you to control the strength of input signals. The microphone also has zero latency monitoring that allows you to check the voice. This microphone has one unique feature called monitor mix control which allows the users to blend microphone and playback audio. There is also a headphone jack in the microphone. 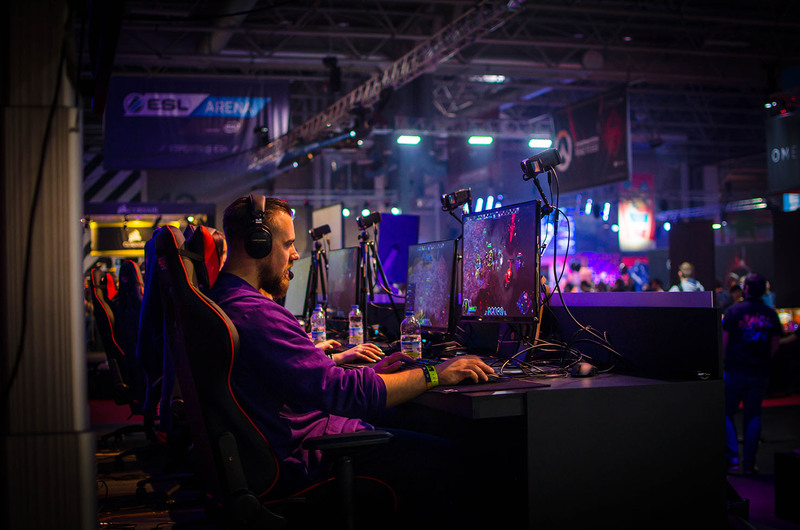 There are so many microphones in the market with different prices and purposes, but those mentioned above are made specifically for gaming. Some of them are very cheap, and you don’t want to think twice about buying it. 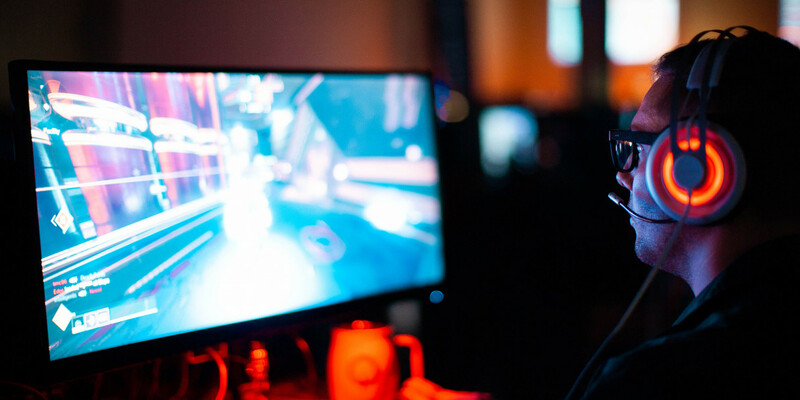 All of them are the best gaming microphones, and it’s hard to choose the best one but if you are a professional gamer, then consider buying Yeti Pro or Shure PG27.